Now, you may have noticed the website has been a little quiet over the last few days. This is because I spent Monday hooning about Oulton Park in the latest BMW ‘M’ models. I know, it was a tough day, but someone’s got to do it. 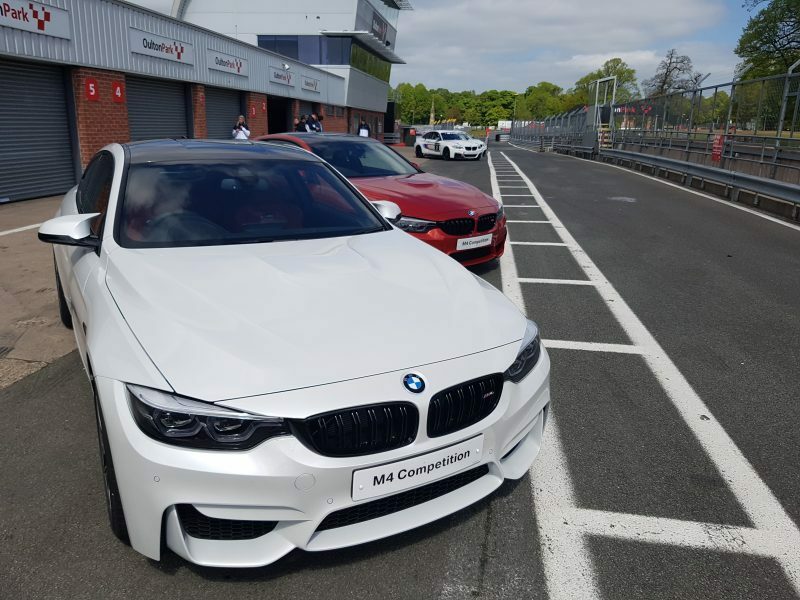 In fact, Monday was the launch for the new driving experience BMW will be able to offer paying members of the public in partnership with Shell V Power and MSV. Since then I am been editing the YouTube video which helps to give you a taster and is available to view at the bottom of this article. 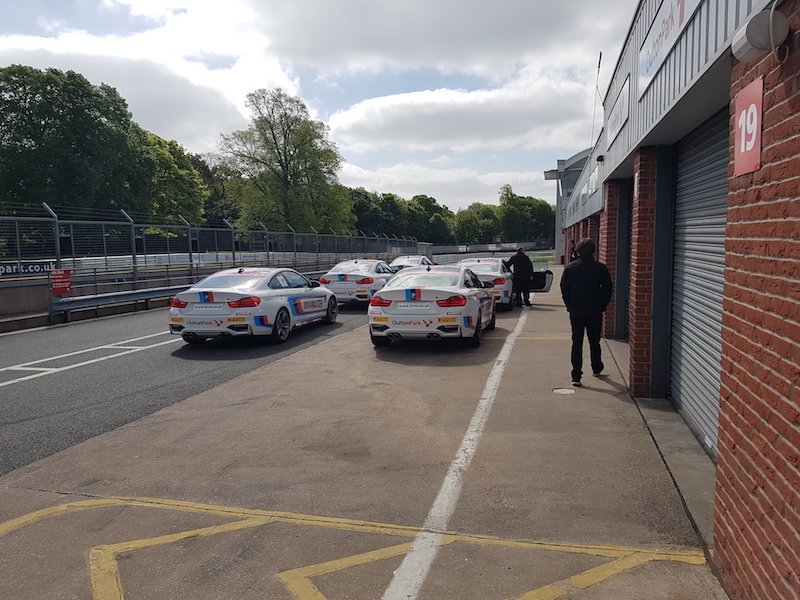 Well buyers will have the choice of either a morning/afternoon session, whereby the day kicks off with breakfast before heading you are split in to groups and put in to some lovely M cars to thrash about the track. 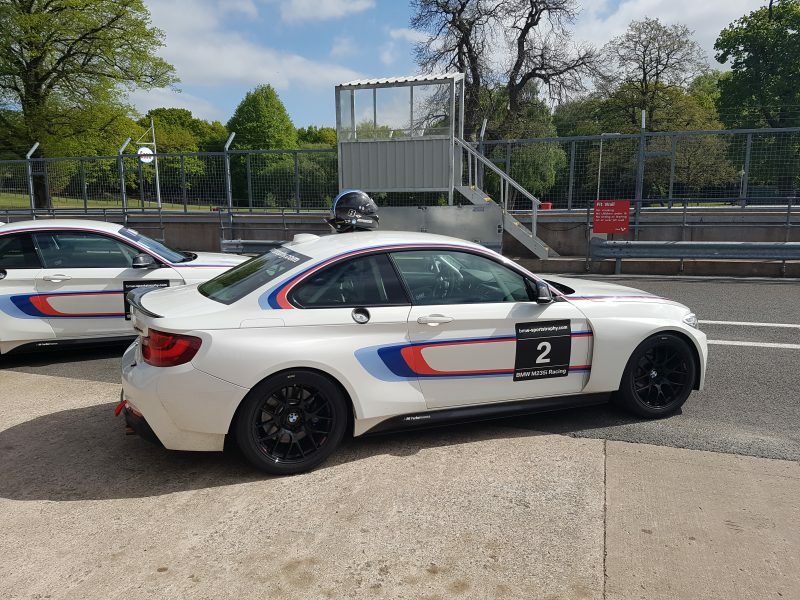 Don’t worry about lack of talent though – you will have race instructors in the car guiding you along the way and in the case of the M4 Master cars, there is also a Vbox system to record laps and telemetry. So, let’s go in to the finer details of what you actually do on the day. Now the order will vary depending on which group you get put in, but for argument’s sake I will walk you through my own personal experience. First off I started off in the M4 Master with race instructor Matthew as we went out for my first set of laps. I’ve done track days before so I’ve had a bit of tuition before, but I am still learning. My biggest problem was turning in to the corners to early, meaning that I was not using the best racing line. After that I had the debrief with Richard from BMW Motorsport before heading back out in the same car with Matthew to do a second round of laps. My second session was a lot better as I was more relaxed, I was able to concentrate more on what I was going, but sadly the Vbox system had a technical glitch, so my lap times were not recorded so I don’t know how much I improved by. After that I jumped in to a track ready M2 as I was taken for some hot laps as a passenger by BTCC driver Paul O’Neill. Let me tell you this, he is a maniac. Going in to a corner, he will brake later than the brain thinks is possible and when he stamps on the brakes, it almost feels like he’s doing an emergency stop. You can really feel the car’s grip through the corners and the speed carried through them feels like it should be impossible. After that blast I traded the passenger seat of the track ready M2 for the driver’s seat of a standard road-going M2. I climbed in race instructor Cameron, who had a rather fetching carbon fibre race helmet. The M2 gives a different kind of experience as it’s more nimble and you can use more of the power more often. Compared to the M6 I drove later that day, the M2 feels like a ballet dancer whereas the M6 feels like a weightlifter. 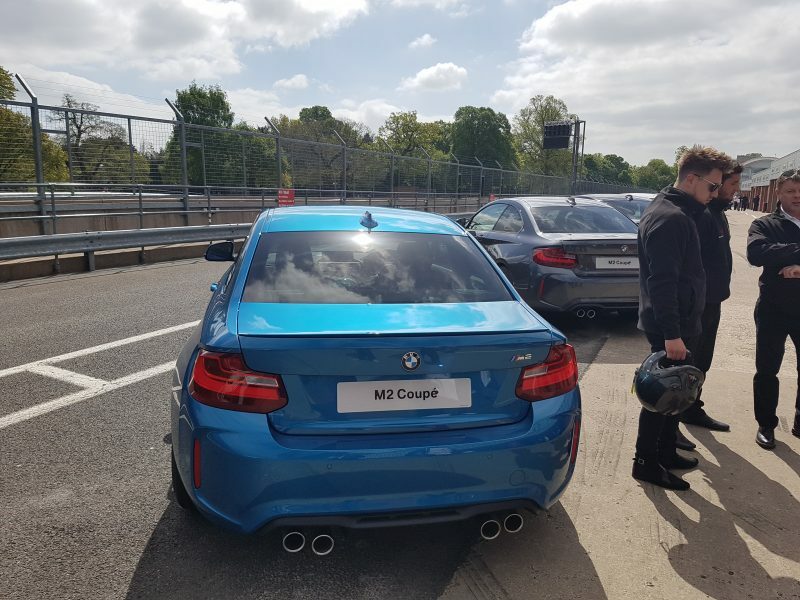 After my few laps in the M2, I jumped in the M4 Competition Package. Once again I was with Cameron and things were going well until I carried too much speed towards druids and decided it would be clever to brake as I was turning the wheel. What a numpty. Cameron helped me keep it on the straight and narrow, but as you can imagine it took me a few turns to recover from that. Thankfully I got the car (and Cameron for that matter) back to the pits in one piece. 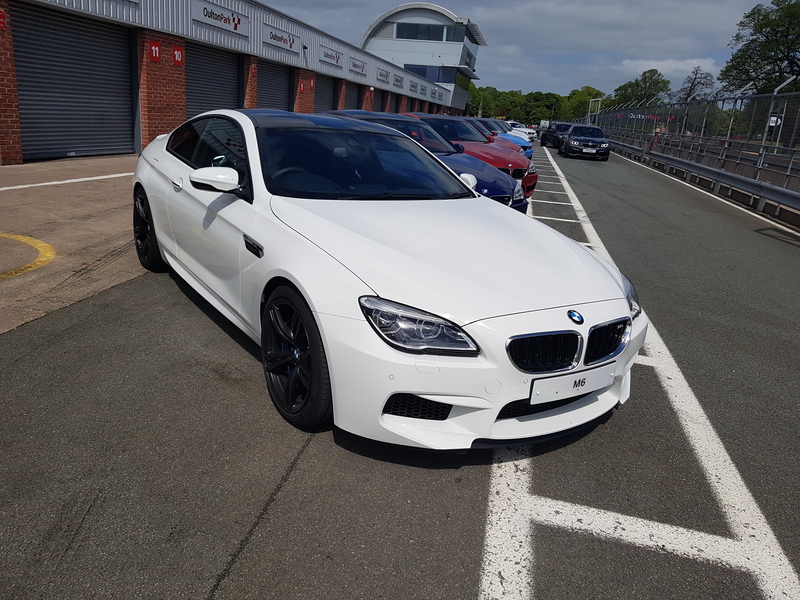 I finished off this M Hat Trick with the beastly M6, a car that is bigger and more powerful than the previous two. It’s also a car that I had never driven before so I didn’t know what to expect. The first thing you notice is the difference in weight – it’s around 500kg heavier and you can really feel it. The brakes demand more work to scrub of that speed and it doesn’t have that same level of poise as it’s smaller, less powerful siblings. It was still good fun, but in all honesty, the car didn’t properly feel at home on the track and it feels more like a point and squirt muscle car. 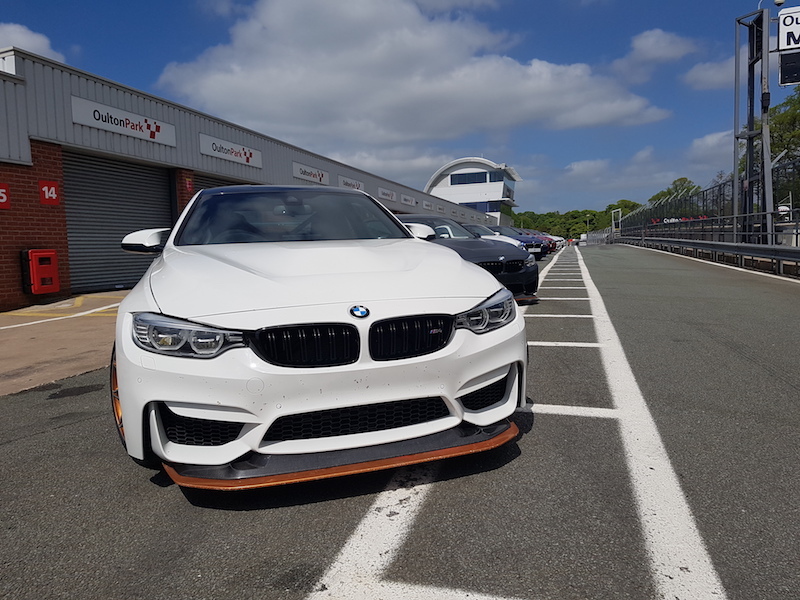 There was also an area for some drifting/car control in the M3 Competition Package and regular readers/viewers will know that I’m not very good at this so I was rather apprehensive, especially when the M3 is pushing out so much power. I did spin a few times and it was difficult for me to really find the balance. My first few efforts were pretty crap as I was either using to little power or too much, plus my steering was not up to scratch. Want to give drifting a try for yourself? Jump behind the wheel with Drift Hunters, the most popular drifting game of 2017. I had a break from that to have the exclusive opportunity to drive the rare and coveted M4 GTS. Now there is a caveat here – sadly, this will not be available for the experience you will be able to purchase with your hard-earned cash. This is a shame as this was my favourite car from the day as it takes the best bits of the M4 and improves it. It’s lighter, faster and has stickier tyres, meaning it’s a pure delight to thread it through each apex. I’ll stop there as I don’t want to tease you anymore. I finished the day with the second round of drifting and although it was better, it still wasn’t perfect sadly. One day I really want to crack it, although you will see in my video that I was able to pull off one decent drift. We did timed laps and I was able to improve from 43 seconds to 38 seconds but I was still some way off from being the fastest. It was still good fun though! Overall, it was a fab day and you should really consider splashing out for a day. 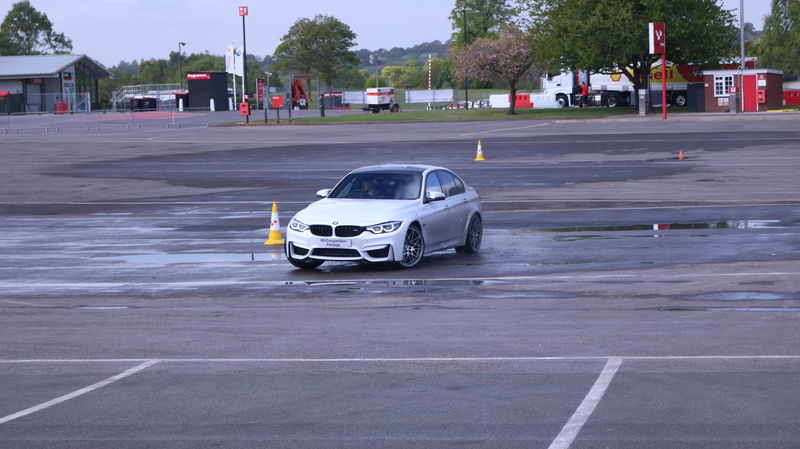 For more details, head to the BMW Driving Experience website.